Amazon doesn’t really create tech jobs, it just outbids local companies that already have a tough time affording essential talent. 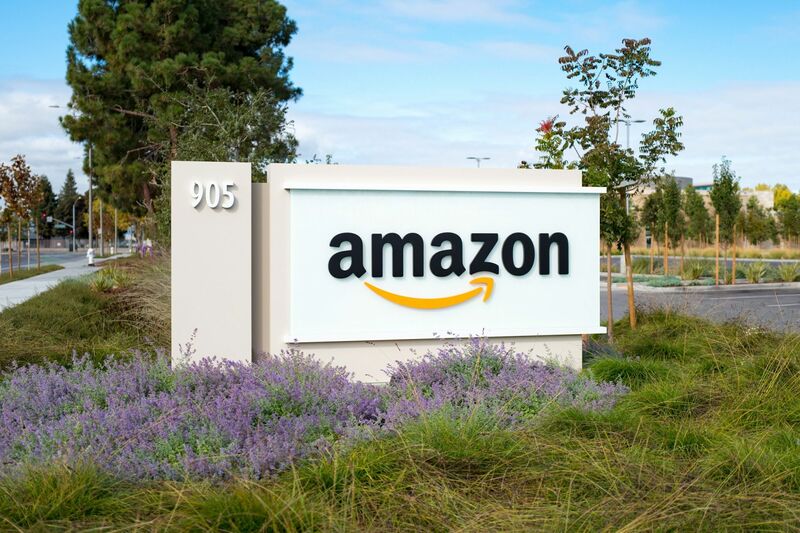 Twenty cities fought tooth and nail to become Amazon.com’s second headquarters. When my city “lost,” I breathed a sigh of relief. It’s not because I don’t love Toronot, but because I do. When you invite a giant into your backyard, there should be no surprise what happens next. When a giant like Amazon parks in your backyard it crushes local startups and scaling companies by absorbing all the talent available in the area. Local governments need to understand the dynamics of startups and the local talent pool to preserve the ecosystem needed to build great companies (like mine). But with the alluring glitz and glamour of having Amazon in town, local politicians across North America completely forgot about the long term. They were willing to sacrifice the future of existing local companies for a chance to be seen with the Amazons. It’s worth considering if a company like Amazon will create more destruction than growth for a city in the long term. Will the city now have all its eggs in one basket, and need to bow to the demands of the giant? What if the costs for talent continue to rise and the giant decides to leave town for greener pastures, not unlike GM’s recent move to shut down plants across North America. What then? Giants have enormous appetites and big, clumsy feet. I’m the founder and CEO of a privately held technology company in one of those 20 cities that was dying to attract Amazon. We’re growing fast, and the competition for talent in our local area is already tough. I’ll bet the same is true in many of the would-be Amazon HQ2 cities. Amazon is so hungry to hire software engineers that they have been poaching from themselves. In the neck of the woods where my company is headquartered, we are virtually at full employment in the tech space. We have a ton of high paying tech job openings we just can’t fill. The idea that Amazon would create high-paying software jobs in my city is an illusion: they’d just shift all the best local talent from fast-growing local companies to Amazon. If you’re in local government, you might think that’s no big deal — who cares where the paychecks come from, if everyone has great jobs? — but that completely ignores the long-term impacts. Start-ups wouldn’t be able to start. The next generation of local tech startups would be starved of talent by Amazon’s aggressive recruiting practices. Companies that might have had the potential for greatness would face a much tougher road to success and potentially fold. Being an entrepreneur is not for the faint of heart. I have the scars to prove it. With the even greater talent shortage that Amazon would create, founders who ordinarily would have started a company here wouldn’t. The increased competition for skilled tech workers would drive up costs even more. Starting a company like mine would become prohibitively expensive, and with the high price and talent shortage, funding would be scarce in the region. With the costs of hiring engineers sky-high, founders would be forced to seek venture capital whether they really want to or not. VCs require quick, big exits, a model that generally does not work for companies with long-term growth visions. If my city had “succeeded” in bringing in Amazon, the opportunity to grow SOTI into the next Google or Facebook would be lost. Interestingly, cash-starved governments suddenly came up with a ton of money and investment to lure one of the richest companies in the world, that is run by the richest man in the world. Maryland put together an $8.5 billion tax incentive and infrastructure bid. Local and state officials in New Jersey got legislative approval to offer Amazon $7 billion in tax credits and incentives to pick Newark. I don’t want to be guilty of just complaining. I’m ready to help my local government understand what they must do to make things better because there is much we can do. Imagine the impact those investments could have if they were aimed at supporting their own local tech community? Imagine how much more value could be generated by helping to “really” create local jobs – especially if one or more of those companies goes on to develop world-changing technology. My company, SOTI, which creates an enterprise mobile and IoT management solution isn’t a giant by Amazon’s standards — at least, not yet. But, we’re on a fast-paced global growth trajectory. We have nearly 1,000 people globally. We’re investing locally and globally (we just opened our 10th office in Ireland). We’re building a state-of-the-art technology campus in Mississauga, Canada, right in the middle of the important tech corridor of Toronto and Kitchener-Waterloo. To date, SOTI has seen 94 consecutive quarters of profitability, and has more than 17,000 enterprise customers in 178 countries. We’re on a roll! Governments should invest for the long-term for the same reason I do: because it pays off. Would Silicon Valley exist today if local governments had torn down the 12×18-foot garage where Bill Hewlett and Dave Packard were starting HP to make room for a giant like Amazon? I doubt it. History shows that long term strategic investments in entrepreneurship produce results. If governments want long-term growth, enabling a diverse technological ecosystem is common sense. If governments want a robust tax base, having lots of growing companies with the potential to become giants is common sense. If governments want to be able to afford great schools, having lots of choices for where those graduates can work is common sense. I’m more excited about the future of my city without Amazon than ever before. Toronto has a renewed opportunity to grow its own giants. All we need to do is focus our energy and resources on the great companies right here in our own backyard.